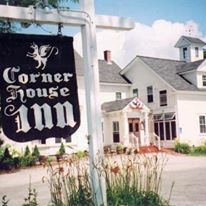 The Corner House Inn is an authentic circa 1849 Inn nestled between the White Mountains and Squam lakes, in the picturesque village of Center Sandwich, NH.Enjoy a romantic meal by one of the Inn's 5 fireplaces or relax in their comfortable rustic Pub. Lobster & mushroom bisque is a must! Dine ''Al Fresco'' on the inn's brick patio for lunch or dinner during the warmer months. 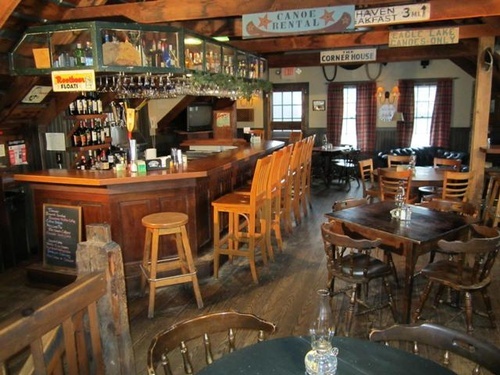 Listen to the rhythmic tunes of talented local musicians on Friday evenings in the pub from 6:30-9:30 pm.